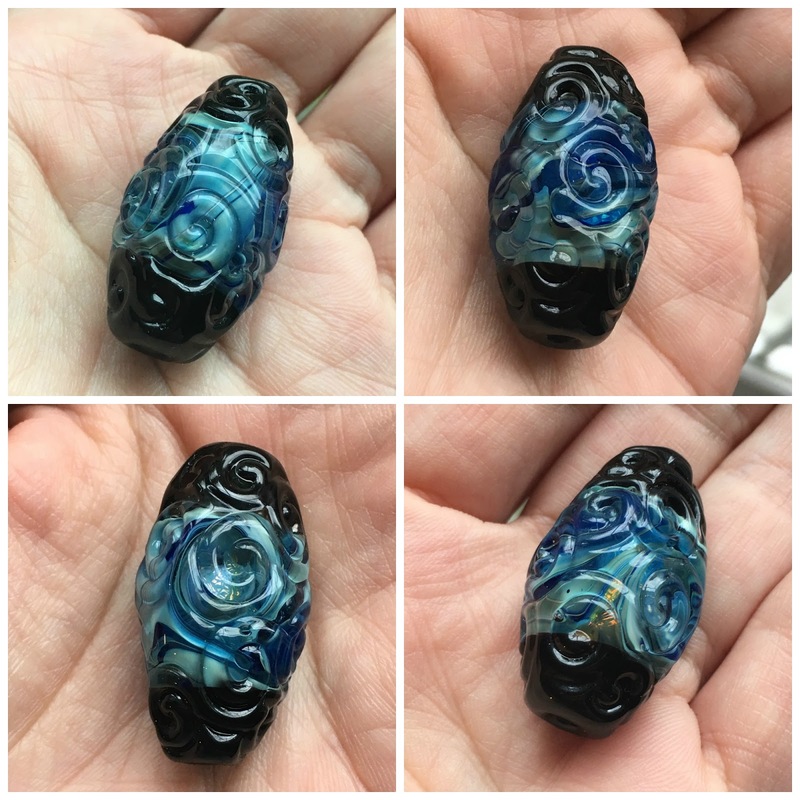 This bead is just....well words don't quiet do it justice, every angle you tilt it you get a different colour and then there are areas where (like a window), you can see into the bead and there is an opal like shimmer inside or a little patch where it is golden! So, yeah I guess I was a little in awe of this bead and if I was not up against a time limit it is properly the kind of bead I would hoard, never quiet having the confidence to use but occasionally taking it out to stroke! This time I decided that the only way I could stop thinking about those wings was to change the direction of the bead and make it into almost a chocker length necklace, now I like the over all necklace but feel very much that I ran out of time and it needs more! I want to add a couple of silver set stones or fossils and I can't get the image of wings out of my head so I may just rip it all to pieces and figure out the wing design! I do how ever love the colours! I wish I could show you it being worn but my model is not available and selfies are very much some thing I have not yet mastered!